The Transportation Improvement Program (TIP) implements the first, short-range phase of the Regional Transportation Plan (RTP). TIP projects are incorporated into the Statewide Transportation Improvement Program (STIP), which initiates the process of releasing funds for project implementation. The TIP identifies all funding sources, work to be accomplished, and the timing. The TIP must be kept current with project changes and must demonstrate the Rogue Valley region's conformity with federal Clean Air Act requirements. Adopted 2018-2021 RVMPO Transportation Improvement Program (TIP). 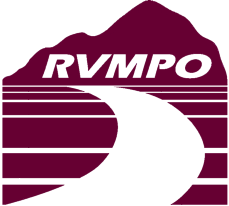 The RVMPO is programming nearly $121 million in projects for the TIP timeframe, 2018-2021. As part of the adoption process, the RVMPO has demonstrated that Clean Air Act requirements will be met with implementation of programmed projects. To maintain consistency, the RVMPO amended the Regional Transportation Plan. Both the amended plan and the program of projects are fiscally constrained, meaning funds for the work described is available. Projects from the TIP are incorporated into the 2018-2021 Statewide Transportation Improvement Program (STIP), which has been approved by the governor and accepted by the U.S. Department of Transportation.